Love at First Sight – A Walnut Sofa! Home / Interiors We Love / Love at First Sight – A Walnut Sofa! LOVE AT FIRST SIGHT : A WALNUT SOFA! 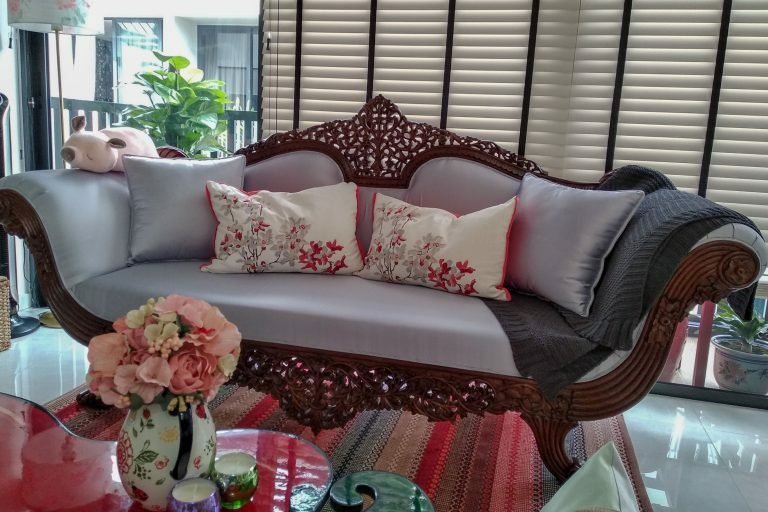 As soon as Juliana Lim saw the walnut British colonial sofa on The Past Perfect Collection’s website, she fell in love with it. And when she saw it in our showroom, she knew she had to buy it! A free-spirit, Juliana does not like to be constrained by conventional or popular trends, so when she bought a new apartment, she knew she would decorate it in her own way, reflecting her own individual personality. Which is why she choose the sofa. “I liked that this mid-19th century sofa had history and was lovingly restored to its former glory. I knew it would fit right in the new apartment.” And we agree it looks fantastic. 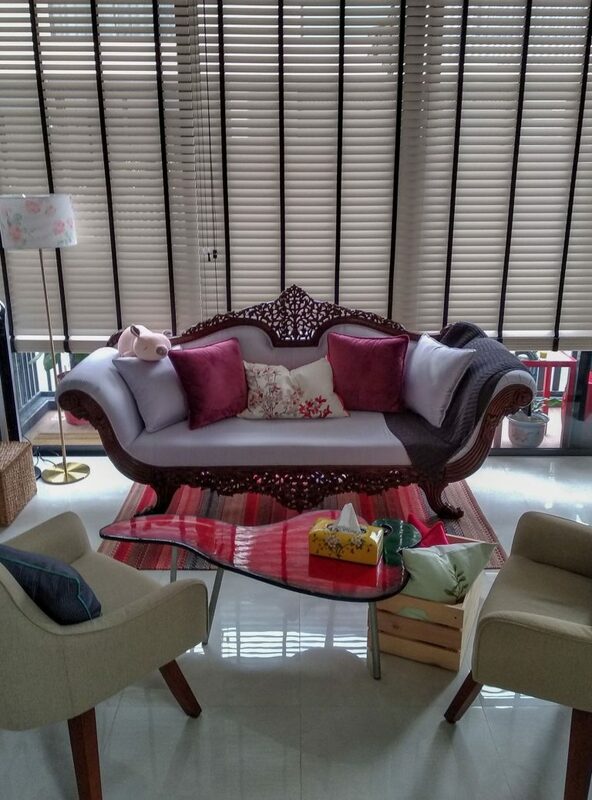 Her apartment in Joo Chiat is an eclectic mix – “my friends say I am the opposite of minimalism” she says. Not subscribing to any style, she prefers to put together items and pieces that she has discovered along the way. The antique sofa, for example sits alongside her more modern finds in the lounge and it all just works together.